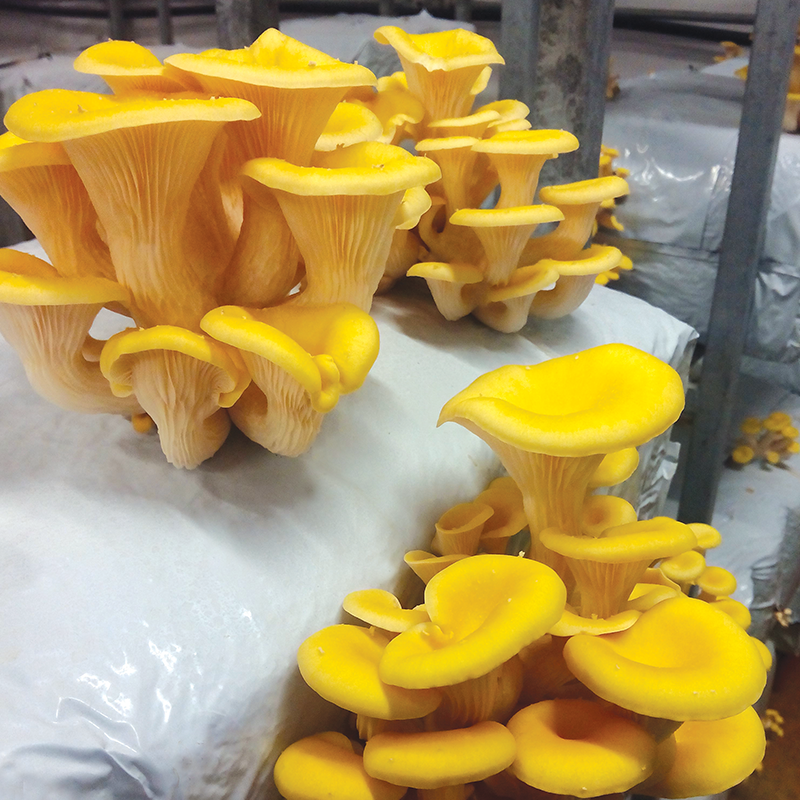 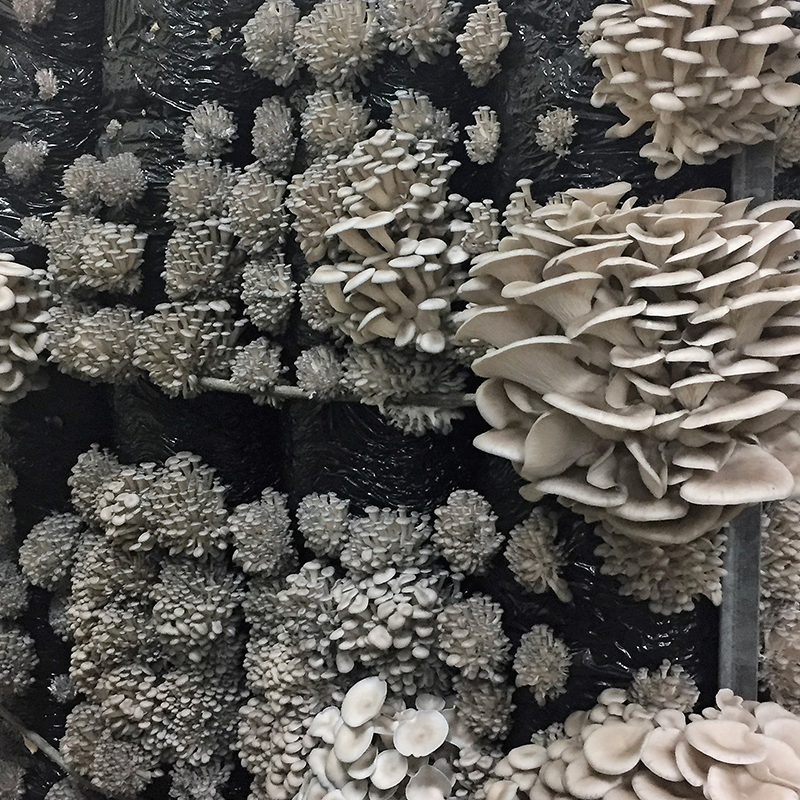 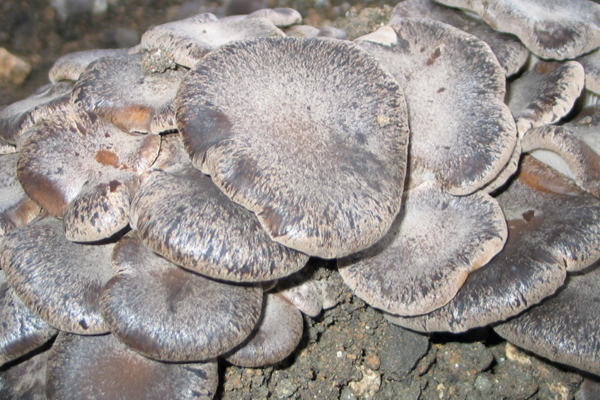 A traditional substrate for Pleurotus growing can be used but this strain prefers sterilised substrates. 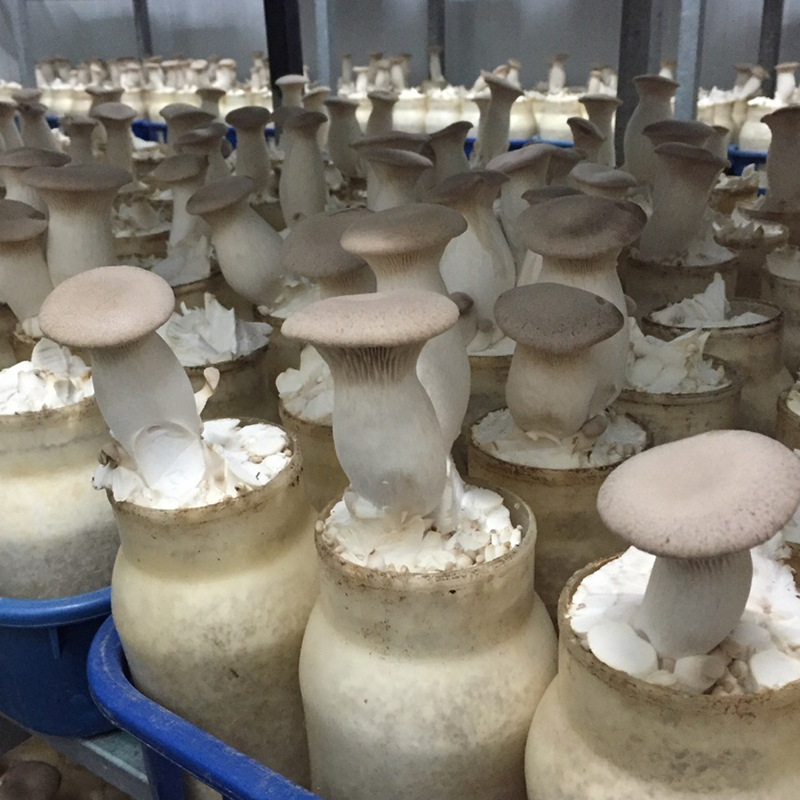 Optimum air temperature for fruiting is 20°C. 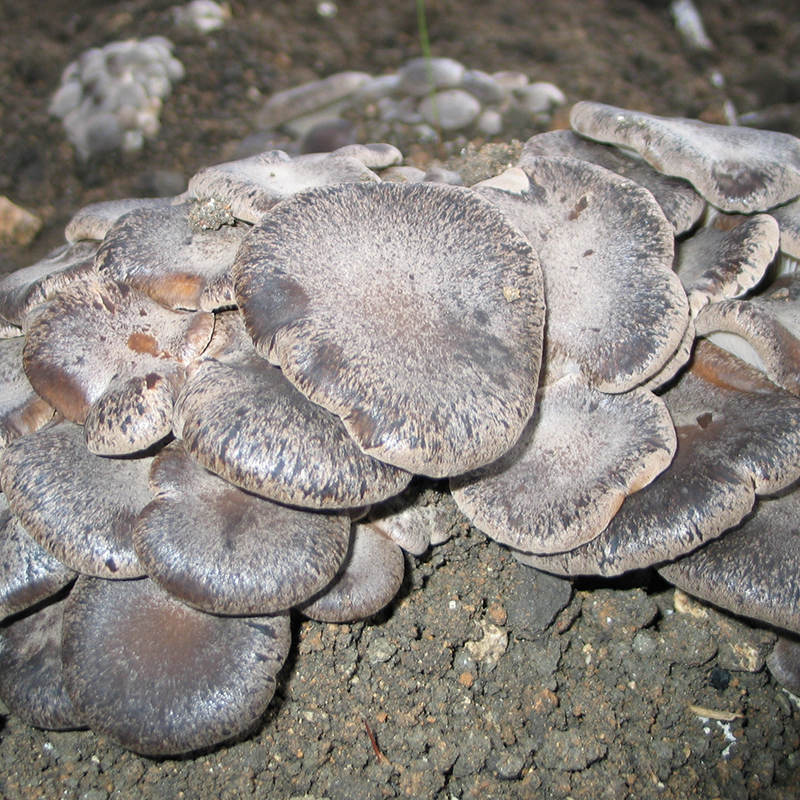 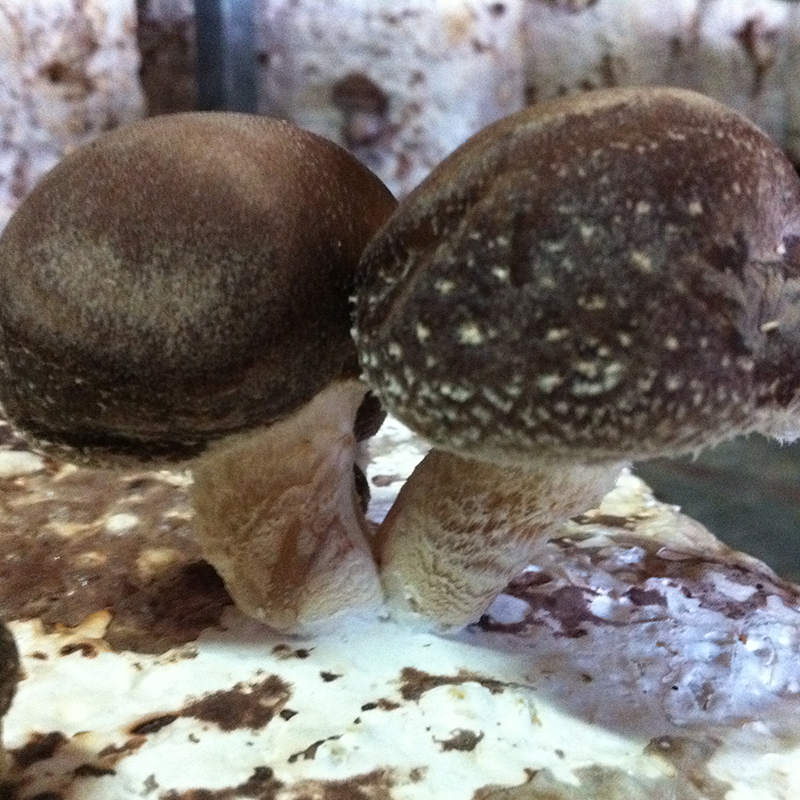 The Pleurotus eryngii has a light chestnut brown with darker brown stripes which lighten with age. 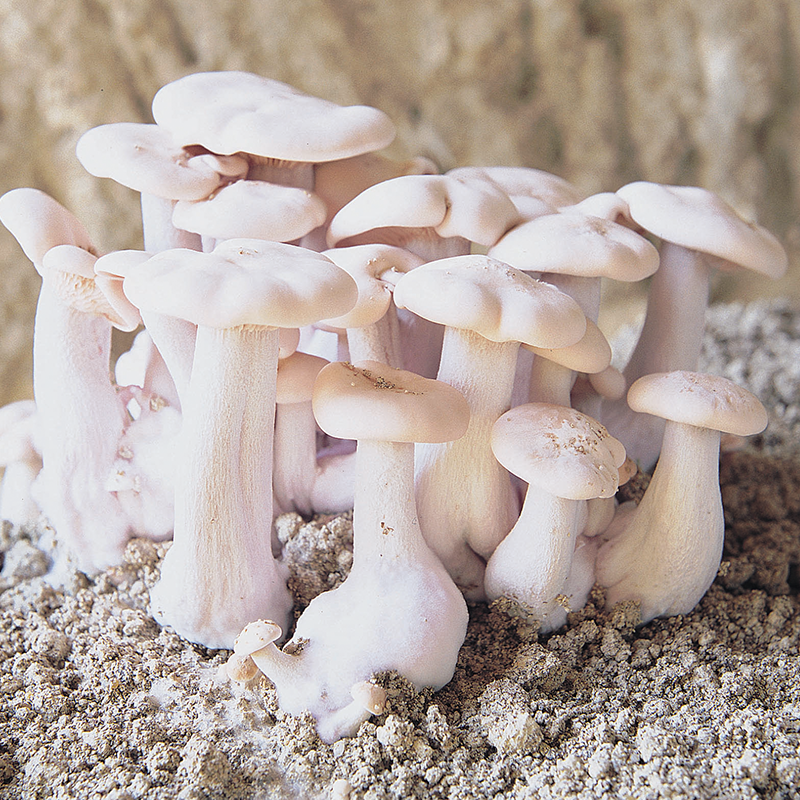 The flesh is white and has a pleasant smell and sweet flavour. 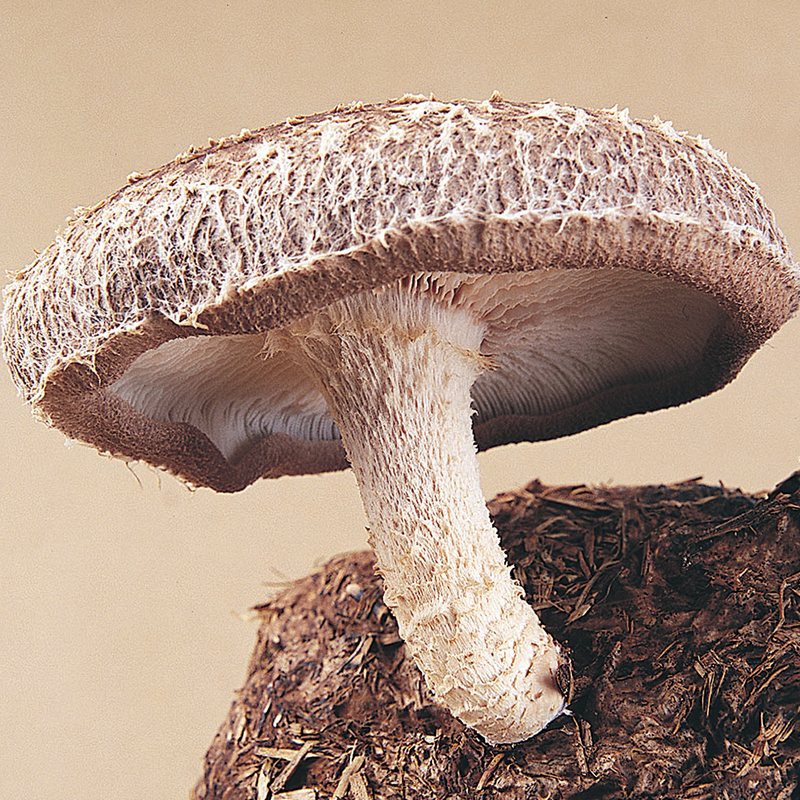 The stem is whiteish and slightly off-centre in relation.